Wood floors are a fantastic type of hard flooring to have in your home, alongside other options like laminate, tile and plank vinyl flooring. 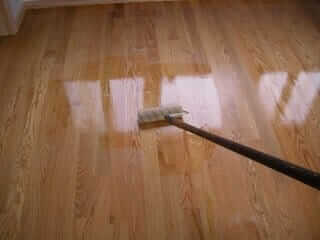 They look great, are easier to clean than carpet and often add a lot to value of your home. However, It's important to make sure they are safe from common types of damage. This is the best way to keep them looking great for as long as possible. Rocking chairs in particular can result in some damage to your flooring. While they might be delightful chairs to have and use, they can have a habit of leaving small scratches behind. 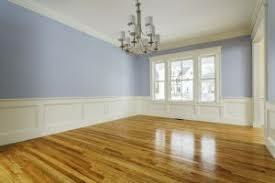 As a result, we're taking a look into some tips you can use to keep your wooden floors protected. One option you have is to try out a new kind of rocking chair. One such example is a glider rocker, which allows you to enjoy the rocking chair without being rough on your floor. These chairs are also known as stationary rockers. As the name implies it's a chair that remains in place while you rock. To clarify, this type of chair sits on a pedestal base that keeps it from moving on the floor, while allowing the seat portion of the chair to rock. This option is ideal for wood floors because you won't need to worry about the base of the chair moving and scratching against the flooring. As a result, it's a much better choice overall if you are someone who simply must have a rocking chair. 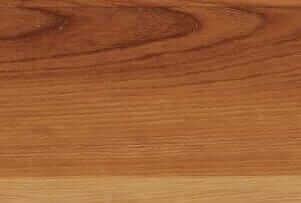 If you don't want to get rid of your standard rocking chair in favor of a gliding option, then Loop Strips can be a great option to help with keeping your wooden floors safe from the rocking legs. You can easily use a kind of strip fastener to keep the chair from being as rough on the floor. This kind of fastener is much like velcro, which means it contains a rough section and a softer section. For the bottom of your chair, you'll want to cut the soft fastener to the ideal length and use an adhesive to stick it onto the runners of the chair. 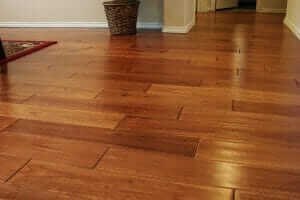 Read also our article about the best vacuum for hardwood floors. A rocker cover can be a perfect option for covering the runners on the bottom of your rocking chair. There are a few great benefits that this option can provide. It allows you to make an aesthetic choice with the décor, and if you're a creative type you can even choose to make your own covers. The only downside to that option is you may need another method for keeping the runners covered while the rocker covers are being made, or you can choose to abstain from using the chair during that period. Ultimately, it's up to you whether you choose to make or buy covers. For those who want a simpler option, a rug can be a perfect option for your rocking chair. All you have to do is find something you like that will fit under your chair with ease. That said, there are some aspects to keep in mind with a rug. Due to the motion of the chair, the rug can move and wind up coming out from under the runners. 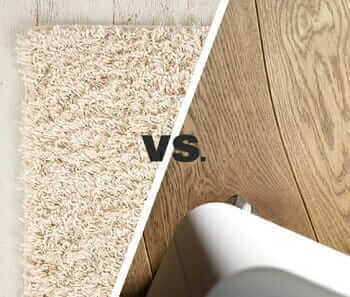 This is more likely to become a problem with smaller rugs, but it can happen over time with larger ones. However, if you don't mind having to adjust a rug from time to time to keep the chair on it then it's a very easy fix to keep your wooden floors protected. It's also one that you can use to your decorative advantage, so that you can get something that fits in with your color schemes or adds a touch of color to a more neutral home. Do keep in mind that depending on the size and style of rug, it can be a much more expensive option than some of the others listed here. This is an option that is quite similar to the loop strips mentioned earlier. The difference is that these strips user rubber instead of velcro. All you'll have to do is find some rubber strips and cut them to the ideal length for your runners. Then, use an adhesive to secure them to the chair. You will need to be a little more careful to avoid bubbles in this option, and also consider that in some cases rubber can also leave marks on your flooring. 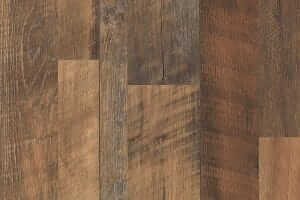 However, these marks are often ones that can be cleaned off the floor rather than creating permanent scratches.